Air China and Air Canada have signed the first joint venture agreement between a Chinese and North American airline. The agreement was signed by Jianjiang Cai, chairman, Air China, Zhiyong Song, president, Air China, and Calin Rovinescu, president & CEO, Air Canada on June 6, 2018 at a ceremony in Beijing, China. 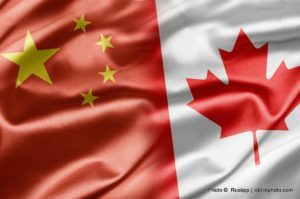 It enables the two countries’ flag carriers and Star Alliance members to expand their existing codeshare relationship and deepen it by increasing commercial cooperation on flights between Canada and China and on key connecting domestic flights in both countries. This expanded cooperation supports the Canada-China Year of Tourism 2018, which recognizes the importance of tourism and trade between the two countries. “The Sino-Canada market is one of the important long-haul markets to Air China, which has been developed rapidly in recent years with an increase of 17.8 per cent in 2017. Air China and Air Canada as Star Alliance members have the foundation of a profound cooperation and under a joint venture framework will offer a wider range of products and quality services, and provide more flexible flight choices, favourable fare products and seamless travel experiences for customers. Moreover, both parties will take the China-Canada Year of Tourism as an opportunity to support the tourism, trade and culture exchanges for both countries,” said Jianjiang Cai. In the last two years, Air China has launched flights directly linking Beijing with Montreal, and Air Canada has launched new non-stop flights between Montreal and Shanghai. The two carriers now operate up to a total of 52 trans-Pacific flights per week between Canada and China from Toronto, Vancouver and Montreal to and from Beijing and Shanghai.